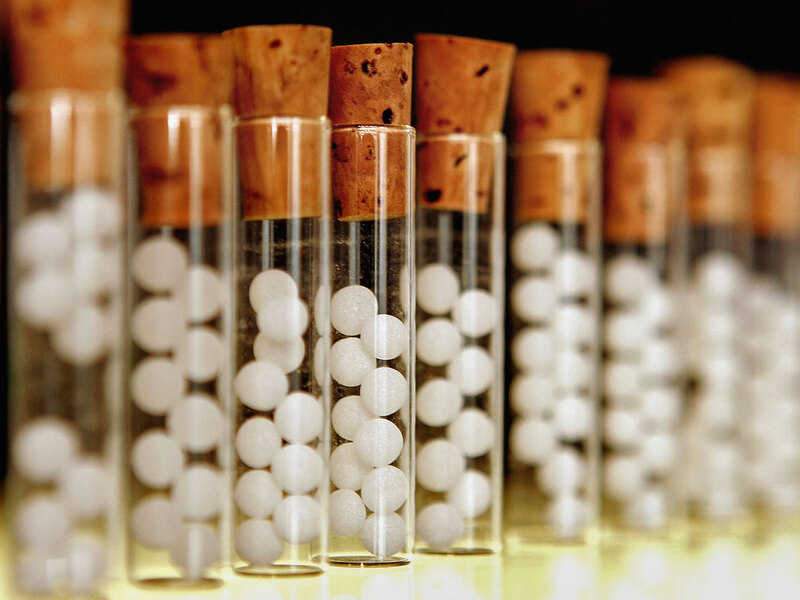 Homeopaths naturally have a strong focus upon finding the right remedy for a client. During the consultation, and even before the consultation begins, the homeopath will likely by default assume the most important aspect of being a homeopath is extracting enough pertinent information so that a suitable remedy be found. However true it may be that getting to the ‘right’ remedy is important, in this article I will discuss the importance of the homeopath placing just as much care, attention and focus upon their own mental and emotional state, not only during the consultation, but every moment of their professional and personal life. If we think about the evolutionary course of medicine over centuries, and indeed the evolution of all aspects of culture and technology, everything moves from the gross to the subtle, or in other words, dense to less dense, from the physical to non-physical. Technology moves to ever smaller, quicker and less-physical protocols. Communication was once hand-written letters delivered via horseback taking several days. From there it progressed to wired communication over the telephone and on to the non-physical protocol over wireless we have now. Similarly, medicine was once extremely physical with amputations, blood-letting and large doses of harmful substances such as mercury used. As we evolved as a species we became more refined, more subtle and less physical in the way we achieve outcomes. This process will continue and never cease. Homeopathy is in a unique situation in that it is a bridge between matter and spirit, the physical and non-physical. With the advent of homeopathy we as an evolving species have access to a system of healing that while still uses matter to effect healing, is an application of matter in a far less dense form than allopathic medicine has used and still does today. This is not an article about one system of medicine being better than the other. That has been done to death and there is no solution to that sort of erroneous thinking. The solution to that conundrum is similar to any paradox; it can only be resolved in the mind when higher levels of consciousness are reached. When evolution is introduced in to the argument we see that one system is not better than the other, but just different; each system came out of different levels of awareness. This is an article about evolution, both individually and collectively as humanity. It is about seeing that as humanity evolves over the coming centuries we will become more aligned with the physics and power of consciousness and gradually leave behind the physics and power of physical intervention that has dominated mainstream Western consciousness. In homeopathy we acknowledge, at least in theory, an animating, non-physical vital force which has certain attributes such as the ability to heal, correct and balance the organism. I say that we acknowledge it in theory because too easily the homeopath does not acknowledge, or be conscious of, or hold in mind, the marvelous and wondrous intelligence and power of their own animating spirit that is at the root of homeopathic philosophy. It is as if we pay lip service to the philosophy, yet animating spirit remains an abstract concept, something that it is not and should not be related to as such. It remains abstract unless we have moment-by-moment consciousness of ‘it’ within ourselves, and within the client sitting across from us. The fact that consciousness remains for us in the intellectual and conceptual domain, way back deep down away from the human beings’ awareness here and now, may be a significant contributing factor as to why we as a species remain sick, ill, diseased, not at ease, experiencing a lack of ease, flow and love. Moving from gross to subtle it is important to not place too much emphasis on the remedy itself, because healing, true healing, does not take place without there being a shift in the innate intelligence of the body/mind. If somebody breaks their arm or has a cut to the skin a plaster is applied but we don’t make the error thinking the plaster healed the wound. It isn’t so easy to make that distinction in our perception when a remedy is given, but we need to constantly remind ourselves what it is that heals. The remedy can cause the internal intelligence and wisdom to continue or complete a healing, but there is an important opportunity for the homeopath to shift their thinking away from the remedy as all important and powerful, and instead become deeply immersed in the non-physical intelligence that animates the otherwise inert corpse of the physical body. And to focus on the experience of this powerful energy within their own body/mind is what I am emphasising as being just as important as the remedy. To think this way and hold the mind in that place, and crucially, look upon the other without judgment, with compassion and kindness is to truly heal. To be clearer about what I am saying, at present we are reliant on the remedy, but with one eye on the future, we can begin to see a day when physical intervention will not be required at all. We can move towards this now in our clinical work by marrying up the power of our own consciousness with the power of the prescribed remedy. To bring the animating spirit out of the abstract domain and into your grounded reality as an experience here and now, felt, focused upon and surrendered to is to bring the intelligent and powerful life force to the world, to your life, and to the client’s life who sits across from you. As we are taught in esoteric teachings, and can be verified in your own life, this force is directed and influenced by intention, hence it being crucially important where you hold your mind before the consultation and during. It is the conscious choice for whatever is best to unfold and not what you personally decide is best, that is the difference. When held in this way you become a conduit of great potential. If the animating spirit is able to work through the interaction unhindered by your personal ideas something great may show up, maybe even a miracle. The default alternative is that you simply act the part of the homeopath, go through the consultation, repertorisation and prescribing processes, but that misses a lot of potential for change within both yourself and the client, and a lot of fulfilment for you as a practitioner and as a person. It is important for you to see in each moment, and upon reflection later, any personal agenda you have as the homeopath. Agendas are endless egoic traps for you to let go of that hinder your ability to stay present and trusting in what is unfolding now. An agenda can be positive or negative, i.e. to feel good about yourself or to find more evidence to feel bad about yourself. Your agenda will depend on what sort of self-image you typically carry around and operate from. These agendas can be wanting to feel good about yourself, to feel important or competent, to show off, or it can be to reconfirm that you are not very good, insecure and don’t really know what you are doing. Spiritual teachings and ancient wisdom traditions, as well as modern therapy emphasise the importance of staying conscious, mindful and present in each moment. To do this we need to do nothing but get out of the way of the non-physical, animating conscious force within. To get out of the way we must engage the witnessing presence that usually goes unnoticed in our lives, and to do that we most definitely need to drop any personal agenda we have, and that includes seeking to find the right remedy. It also requires that we drop any mindset of seeking to fix or heal the client, or get the client better. This may happen in due course, the client may get better as a result of the remedy prescribed, but we do not need to have a mindset to get to the right remedy. To have a mindset of seeking or grasping to settle on the remedy causes us to miss being present, connected and feeling the subtle energy of our clients and within ourselves. Staying present and conscious allows us to see who they are, and they will feel this. A client will walk into the clinic looking to heal physically, emotionally and mentally, but there is an opportunity to heal on a completely different level when you sit in front of someone present and energetically joined with them. If this world is a world of separation, and our true essence is non-physical unity and oneness, as every ancient tradition teaches, then it makes sense that to heal we need to do as much re-connecting and unifying as possible. And it all starts with your mindset and where you have your attention moment by moment. A few minutes of silent meditation or conscious breathing will shape and colour the whole interaction in a most positive and beneficial way. If we enter a consultation not connected to our core, not taking the time to be present with ourselves even for just one minute, I believe we are doing the client a disservice. This can be easily done by having your attention on your heart and naval for a few breaths. This will ground you, calm you and allow you to see and relate to the client in a genuine and authentic way. Or, even better begin the day in meditation and acknowledge the animating vital force within you and centre yourself back to that place before the client arrives and several times throughout the interaction. Allow life to unfold as it does without tainting it with what you want or think is best. Your client will feel it, it will be palpable for them; it may be all they want or need at this time. There is an intelligence that is not of the reasoning mind and this intelligence can be accessed by feeling within your body, most likely within the torso between the pubic bone and throat. Having your attention here allows you to feel and open up to a greater power within. At the very least, placing your attention regularly on this area will get you out of your head and out of any personal agendas you may be carrying into the interaction with the client. A soft, easy and present focus upon your own connection to the innate healing intelligence allows more to potentially show up than you can ever possibly create from your own set of ideas and concepts that you have intellectually gathered. When you are in this calm and steady state you are receptive to ideas flowing to you and through you that otherwise would be drowned out by your personalised agenda-based egoic thinking. Agendas come in two categories. Some of them will be obvious once you look. Be open and honest about what you find going on in your mind. Other agendas will be so subtle that you do not even know you are running one. The first type of agenda is about what you want for the client. The intelligent vital force that heals when the conditions are right for healing, is nothing but benevolent and good, therefore what you want is irrelevant. Again, your own personal desires can only ever be a hindrance. The second type of agenda is how you want to be seen and thought of and how you want to think of yourself. Maybe you are focused on positive traits and aspects of yourself, you want to be seen in a positive light and so you project thoughts and actions into the interaction to try and manipulate and meld the client’s thoughts and your own thoughts so the positive characteristics such as clever, bright, caring, empathic, etc become evident. Or, on the other hand you may be negatively focused and so you try and hide insecurities, fears and feelings of not being good enough. Whether you are trying to show off positive characteristics or hide negative ones they are both unconscious attempts at manipulating the situation to maintain your self-image. Said more strongly, when you have an agenda you are unknowingly using your client and the consultation for your own benefit. Hahnemann spoke in the Organon of being the impartial observer during consultations and interactions with the client. This is an agenda-free state of witnessing what is unfolding without being attached or emotionally invested in the client’s circumstances or your own for that matter. I would like to take this principle a step further and see the concept of impartial creator become prevalent. This is a conscious connection to the energy within you that we know effects healing. It is tuning into the wiser part of your being as you interact without an egoic agenda on your part. In this way you are contributing to the environment that allows healing to occur. In the right circumstances healing happens. The homeopathic remedy may be a trigger or contain information that creates the condition for healing to complete, but the remedy does not by itself effect the healing, that is completed by innate intelligence or what we call the vital force. Just as we cannot make ourselves go to sleep we cannot make someone heal, that happens by the innate intelligence of nature. When it is time to sleep we create the right environment in order to allow nature to take its course. We lie down, we have a noise-free and light-free environment, we make sure we are warm, then sleep should occur, but we did nothing to make ourselves go to sleep, we just removed the impediments to sleep. Similarly, to heal we need to create the right external and internal environment to allow nature to take its course. By being present with your client, without an agenda, consciously connected to your own feeling of source energy within, feeling the peace and joy within that this focus brings, allows the client to not only feel something intangible and powerful within you, but depending on where they are mentally and emotionally they may well make a giant leap in their awareness simply because of the clarity of your connection to this source energy. They may begin opening up to greater health and well-being simply by being near you. A well-selected remedy obviously can do wonders, we have all seen the results, but there is ever so much potential when the practitioner engages in a non-seeking, gentle focus that allows the process to unfold in a way that far exceeds sticking to ideas of what you think you already know. In time we may not even need the remedy as the clarity and presence the practitioner possesses triggers healing within the client. This may not be common place in our lifetime but we can begin incorporating this into our practice and our own lives now. It is a continuation of the journey from gross to subtle. I was not surprised to come across information from The Autism Treatment Center of America a while ago. Their ‘radical’ and successful program treating autistic children, including their own son Raun in the 1970’s, is founded on the principle of joining the child in their world and in their consciousness as much as possible. The more you energetically join with someone in consciousness the more healing will occur. If you sit with the mindset that you are the homeopath and the person across from you is an ill client, that is not joining. Join them in presence and you allow something greater to unfold that you would not be able to achieve as two seemingly separate people. We are unlikely to achieve miraculous healings as has been reported about great masters of the past, but we can at the very least move in the direction towards an awareness that while we are still very much working with physical matter in the forms of homeopathic remedies, there is non-physical information being conveyed to that person via the ingestion of the remedy, and in time we as healers may not even need the remedy to achieve that. In time, healing will likely be all non-physical as discoveries being made in quantum physics allows us to understand and use the healing attributes of our own consciousness; our will, our focus and our intention. Until then we are reliant on physical intervention. However, we can still be mindful of the power of presence, to choose to sit across from someone with no agenda and to allow the moments to unfold as they do, allowing the potential for something unexpected and potentially miraculous to show up. When that happens we have opened ourselves up to learning new experiences, new understandings, greater wisdom and a genuine healing of ourselves and humanity as a whole. Thankyou Glenn for a heartfelt and insightful piece of writing. Brilliant Glen. This is in line with a little of what i might be saying at your graduation next weekend. You say it much better though. Keep these gems coming. They are at the heart of what we do- or at least ought to do. Glen, This is a terrifically insightful article. Thank you for sharing your insight! Wonderful article Glenn. Thank you for sharing.